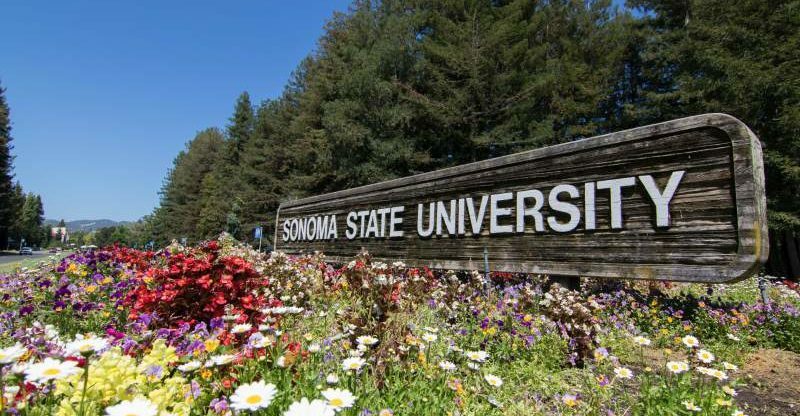 After about a year of discussions with a medical cannabis education organization, Sonoma State University will finally be offering its first course in medical cannabis in March. But don’t go thinking about changing majors yet. The one-day program for those in the health care industry will only cover the use of cannabis in medical care. Now that municipalities are putting rules into place regarding medical cannabis—as mandated by the state—doctors, nurses, pharmacists, and other health care professionals are catching up on their education about the drug, which has been legal medicinally since 1996. Bridging the gap is United Patients Group, a medical cannabis education and consulting nonprofit based in Greenbrae in Marin County. UPG provides cannabis education conferences at universities, and medical and governmental institutions like Dominican University, California Northstate University, and private summits, including attendees from the Utah government, medical professionals and the Mormon Church. Titled Medical Cannabis: A Clinical Focus, the SSU symposium is intended as an intense workforce development course, according to Robert Eyler, dean, School of Extended and International Education, where it is offered. Nurses, physicians, and pharmacists can get credit for the course which will be on held March 11 and taught by Eloise Theisen, RN, MSN. It will cover subjects such as the history of cannabis, an introduction to cannabinoids and terpenes, dosing and administration, legal implications, and other medical-related issues. The school is also planning a three-day course on regulatory cannabis issues later in March. Despite the offerings, the university has no plans and is “no where close” to offering a major in cannabis, Eyler emphatically stated. Because the university is a public entity, and cannabis is illegal at the federal level, the school is currently barred from offering anything more than medical cannabis education. “We have no intention of offering courses about entrepreneurship or the business side of it,” he said. The medical cannabis course had been on the university’s agenda for some time, and with the passage of Proposition 64 this class was the next step, Eyler said. UPG provides strictly medical cannabis education and does not write prescriptions, sell products or establish booths at the conferences. The programs are aimed at medical professionals and politicians, but anyone is welcome to attend. UPG has a regular staff of educators and flies in doctors, researchers, and patients to tell their story, said John Malanca, CEO, and co-founder along with his wife, Corinne. The Malanca’s formed the group in 2011, after John’s father-in-law fell into remission after treating his cancer with medical cannabis. “It’s not a one-trick pony, we customize all of the courses depending on what the need is,” Malanca said. A two-day conference at Dominican University last year for nurses, physicians, and pharmacists delved into the efficacy of medical cannabis and how it can be used in a clinical setting. The attendance was about 85 percent medical professionals, and was standing-room only, Malanca said. Doctors come from as far as China, Japan, and Australia to attend these events. “We’ve been doing this outside of the cannabis industry for years. We’ve bridged the gap between conventional medicine and the medical cannabis industry. We are reliable, accountable, and don’t sell products. We have built a trust over the last six years,” Malanca said. UPG is also working with medical professionals at Marin General Hospital as the facility examines how to allow a patient to continue using medical cannabis after admission to the hospital. Upcoming, the group will present a two-hour symposium for the hospital. UPG also presented in Utah, which is in the top 10 states in the nation for opioid abuse and overdose. 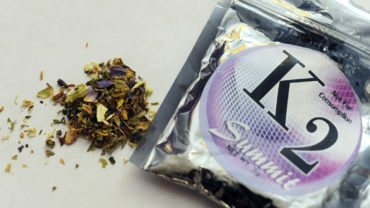 Officials wanted an education on whether cannabis could replace the opioids as an alternative. Utah is also a state with legal medical use of cannabinoids, cannabis without the effect of THC, the psycho-active ingredient. Malanca points out that without some THC in the mix cannabis is obsolete in treating many ailments such as cancer and autoimmune diseases.